Thu., Aug. 31, 2017, 4 a.m.
To call it the year of the quarterback would be an understatement. Talented, veteran QBs dot the rosters of teams thoughout the area, from the professional ranks to college campuses to local high schools. We’re attempting to rank and compare the best quarterbacks from our region’s rich football history. To compile our lists, we polled local media members, as well as some longtime observers of the sport. In the end, our picks combined a number of factors: Statistics, team success and nostalgia – and obviously, the final choices are quite subjective (and for entertainment purposes only). We hope you’ll enjoy. 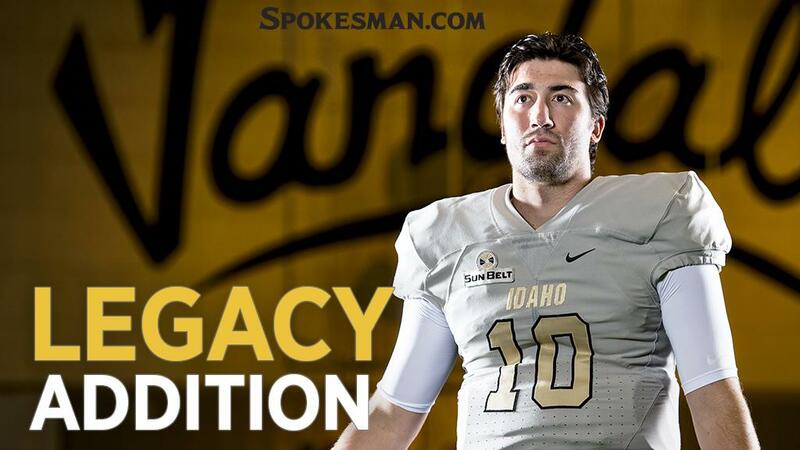 801-1350 (59.3 pct), 10,697 yds, 77 TD, 40 INT: Idaho’s MVP award is the John Freisz Award. Enough said. He was a three-time Big Sky Conference player of the year, Division I-AA All-America, a recipient of the Walter Payton Award as the outstanding player in I-AA as a senior, and he has been elected to the College Football Hall of Fame. He took Idaho to the playoffs all three years he started. 746-1205 (61.9 pct. 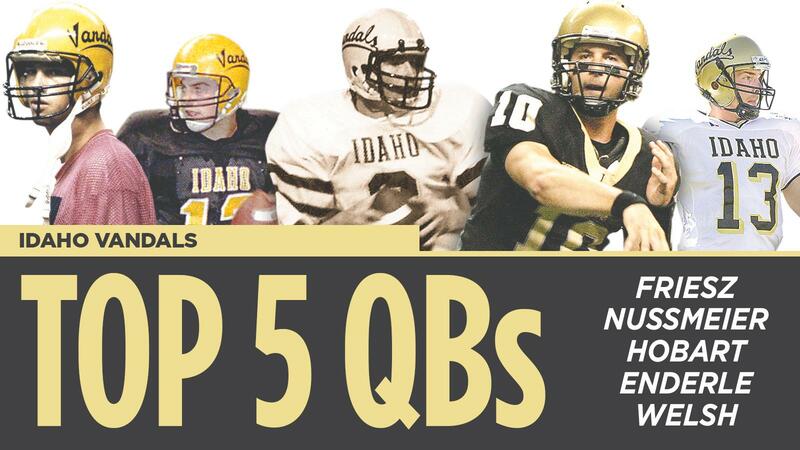 ), 10,824 yds, 91 TD, 32 INT: The Vandals’ career passing yardage leader. Like Freisz, Nussmeier’s won the Walter Payton Award. He is one of only five quarterbacks in NCAA history to throw for 10,000 yards and throw for 1,000. As a senior, he led Idaho to the Division I-AA semi-finals. 629-1219 (51.6 pct. ), 9,300 yds, 79 TD, 42 INT: A case can be made that Hobart should be higher on this list. After walking on to the Idaho team, he led the Vandals for two years as a veer quarterback and was a top rusher. In his final two seasons in Dennis Erickson’s offense, Hobart showed he was an even better passer. As a junior he led Idaho to the I-AA quarterfinals. 779-1427 (54.2 pct.) 10,064 yds, 74 TD, 60 INT: Did you see the 2009 Humanitarian Bowl? Enderle threw four TDs. With the Vandals on their own 34 yard line with 32 seconds to play and trailing Bowling Green by seven, Enderle drove Idaho down the field and completed a 16-yard TD pass with four seconds left, then a two-point conversion pass for a 43-42 comeback win. He was steadily productive throughout his college career and threw for a ton of yards, but that Humanitarian Bowl victory alone earns him his star in the pantheon of Idaho quarterbacks. 584-968 (60.3 pct.) 7,401 yds, 55 TD, 38 INT: First of all, as a senior Welsh quarterbacked Idaho to an overtime win over Boise State, always a great resume item for an Idaho quarterback. He went on to be named the MVP of the 1998 Humanitarian Bowl after the underdog Vandals beat Southern Mississipi, 42-35. Scott Linehan (1982-86), In addition to a fine but injury-marred career as a Vandal starter, Linehan is the father of current Idaho standout quarterback Matt Linehan. … Brian Lindgren (2001-04), In an era when Idaho couldn’t post winning records, Lindgren still stood at out at quarterback. He ranks eighth all-time in career passing attempts, completions and career passing yards with 6,461. … Rick Seefried (1971-73), He only threw for 2,845 yards in his career and had one winning season, But the 8-3 Vandals led by Seefried in 1971 won Idaho’s first Big Sky Conference title. … Rick Sloan (1984-85). A San Jose State transfer playing on a questionable knee, Sloan stepped up big-time as a senior when Linehan was hurt. He led Idaho to a 9-3 record and the Division I-AA playoffs, where Idaho lost in the first round to Eastern Washington. Sloan had an impressive 68.1 percent completion rate that season, still the Vandals’ single-season record. Published: Aug. 31, 2017, 4 a.m.